Love those 'roos! 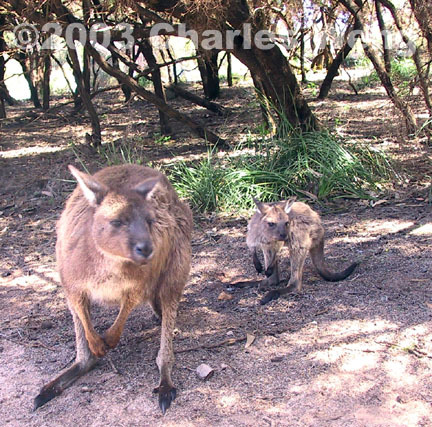 -- When Captain Matthew Flinders was charting the coast of Southern Australia in 1802, he found food aplenty in these docile creatures on an island 18km off the mainland, which had no fear of predation. 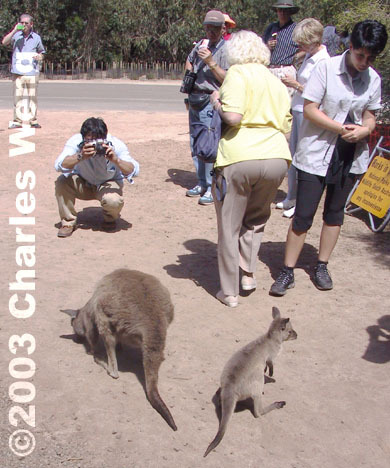 In gratitude, he named the place "Kangaroo Island," which in the context of present-day tourism sounds like a kitschy amusement park. Disneyland, it certainly is not. The third largest island in Australian territory (after Tasmania and Melville Island), this is a rural and wild region preserving several species of flora and fauna no longer seen on the mainland: a little "Australia" for the hermit continent.